Blinkist is management-free because we run on a system called Holacracy. Never heard of it before? It’s time! Switching to Holacracy transformed the way that Blinkist works. For other startups and even bigger companies looking to explore new ways of working, here are the basics of how it works and how we made it work for us with a super adaptable “lite,” version. Holacracy was originally developed by Brian Robertson in 2007. Since then this spark of an idea has spread like wildfire, having been adopted by many startups and even some larger companies like Zappos. 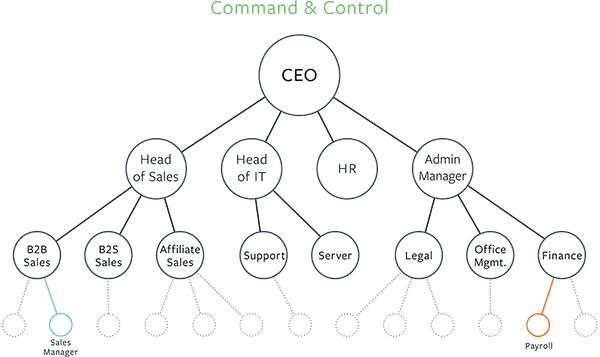 Though it’s a complicated concept, its main idea is simple: eliminate all hierarchies and job titles in organizations, and replace them with a formal structure that is fully focused on getting the job done. The latter part is important: Holacracy does not eliminate hierarchies and then replace them with loose, disorganized anarchy. Rather, it introduces a strict and comprehensive set of rules that enable everybody, regardless of seniority, to make quick, smart decisions that are in line with the organization’s goals. 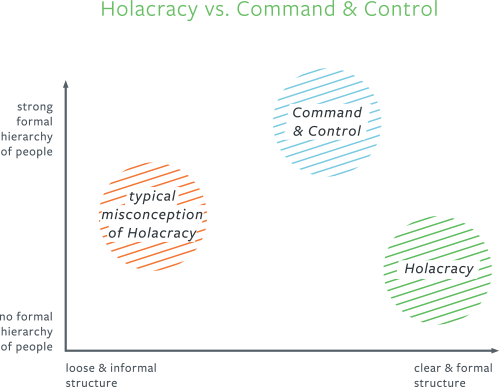 How does Holacracy work in practice? Based on rigid, boring hierarchies, the traditional workplace structure—known as “command and control” management—has been around since the Industrial Revolution. Under this system, employees operate strictly within the realm of their own department and job title, completing tasks as assigned by those above them in the hierarchy. There’s little room for innovation or independent thought. Holacracy gets rid of all of this. Instead of job titles, people take on flexible, ever-changing roles according to their skill sets and the current demands of the company. Managers in the traditional sense are a thing of the past too. With Holacracy, people are given the independence to pursue their roles in the best way they see fit. After all, who better to decide how to do a job than the person most familiar with it? Another tenet of Holacracy is that instead of departments and divisions, companies are made up of circles. At first glance, a circle is basically a team comprising different roles. The key difference to traditional departments is that circles are very flexible. Departments are so 1984, circles are the new black. Just like a department, each circle has a clear purpose: a topic vital for the company’s success which the members of the circle work together to pursue. However, this purpose can be easily changed if it no longer reflects the company’s strategy. Circles can also be created or closed in a single meeting, very much unlike C&C departments. Imagine a company decides to cancel a line of products, Product X. In a traditional office, the department associated with Product X would disband and some employees might be laid off. In a circle structure, though, the Product X team would go and join already existing circles, or create new ones. And employees could either keep working in the same role as before or adopt another. 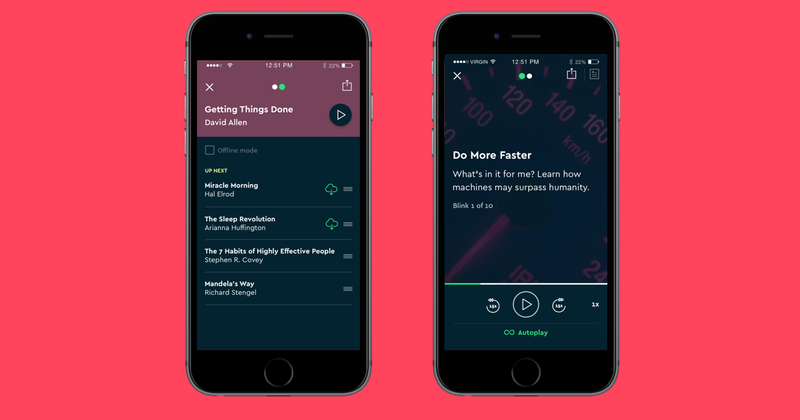 At Blinkist, we create summaries of the key insights from bestselling nonfiction books. You can read them in about 15 minutes because they’re meant for busy people who crave new knowledge, but might only have time to read on their commutes or during lunch break. Unsurprisingly, these busy people have been asking for audio versions of our content since we launched Blinkist in early 2013, but we kept balking. First, we mapped out the “nice-to-have” features that, in a perfect world, we’d build in 2015. Then, we switched from discrete, restrictive titles to Holacratic roles, with everyone taking on the accountabilities that made sense for their skill sets. Because people now had crystal-clear ideas of what their roles and attendant accountabilities were, they could work faster and more efficiently. Without feeling restricted to a single function within the organization, the Blinkist team was able to see how they as people with abilities—not just certain titles—could fulfill the roles that would make our nice-to-have audio dream into a next-on-the-list feature. And we were off! Our copywriter took on the audio recruiting role. An editor started managing the four narrators we found. One of our freelance writers happened to be a sound technician, so he started producing audio versions of our content in his at-home studio. Within two months, the Blinkist audio project went from being a pipe dream to a concrete feature that we were able to offer with our December relaunch. And now, what feature do people most often write us to enthuse over? You guessed it: audio! We feel pretty good about saying that it’s been a success. Because our team is small and we didn’t suffer under the weight of years’-worth of bad habits and disappointed expectations, we didn’t need to overhaul our entire organization. Instead, we adapted our own, lighter version of the Holacracy One’s (frankly, pretty great) system. Sebastian is cofounder at Blinkist, a service that feeds curious minds key insights from non-fiction books. As Blinkist’s Editor-in-Chief, he specializes in distilling complex concepts from great books into smart, beautiful language.